Here are my picks for this week's Frugal Round-up. First up, a pretty Thanksgiving table scape shared by Making Lemonade. The touches of metallic gold are perfect! 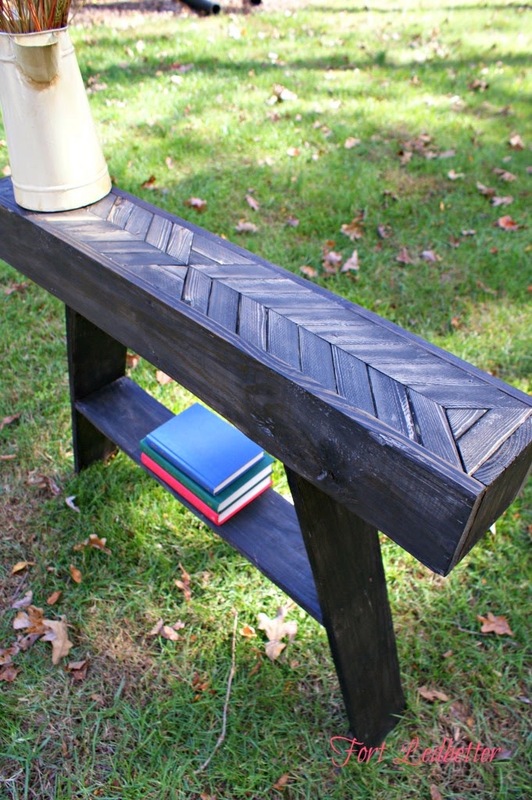 Welcome your guests with this adorable DIY entry table shared by Fort Ledbetter. I just love the chevron top! So cute!! 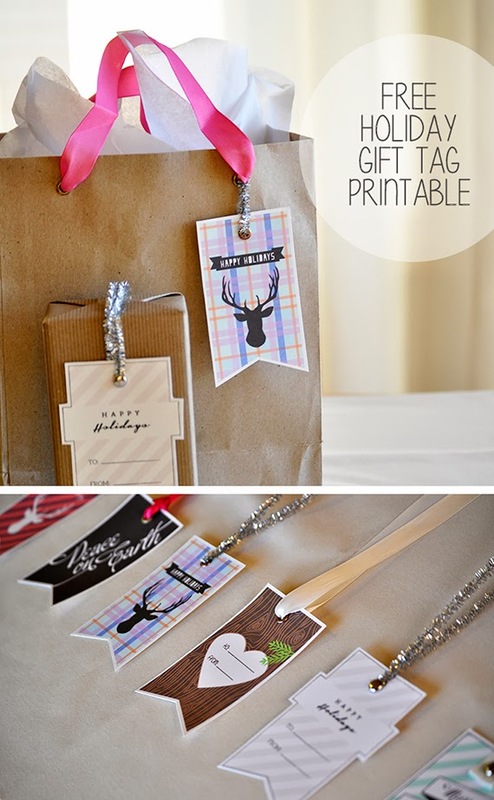 And finally, check out these cute free holiday printable tags shared by Pretty Providence and get a jump on your Christmas gift wrapping. 2. Please link back the Shabby Nest (you can use the pretty button on my side bar to make it easy.) I only feature projects in my Frugal Round-up that link back to The Shabby Nest. I have passed up some great features because they didn't link back..so please use common courtesy and return the link! MWAH!! Thanks Wendy for getting the party up each week! Thanks so much for hosting! Have a great Thanksgiving next week. Thank you so much for hosting. Hope you have a great Thanksgiving. Thanks for having me, have a great weekend! Hey Wendy Hyde!!! I am leaving you a link to a kitchen blog-but I don't know if a link to your page in the comments suits you. (I'm still a bit reliant on those kids of mine to help with technical matters.) Trying to blog every day this month. Thank you for hosting. Have a wonderful Thanksgiving week. Thank you for your hard work hosting this fab party. Awesome inspiration here….. Appreciate ya!! Thanks so much for hosting! I LOVE the features this week, especially the modern plates that say, "Glad You're Here." LOVE THOSE! Have a wonderful Thanksgiving. Thank you for hosting, Wendy! Thanks so much for including my Thanksgiving tablescape. That made my heart skip a beat when I saw it! Thanks for hosting, Wendy. Have a wonderful Thanksgiving! 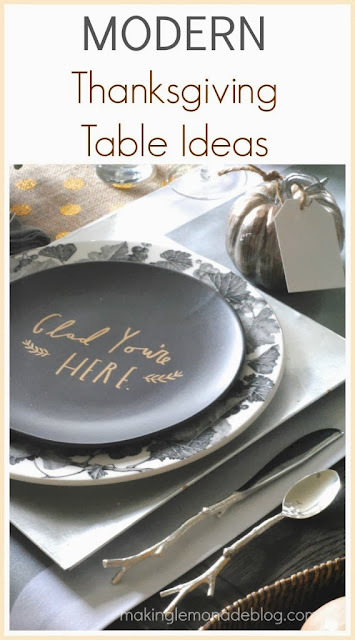 You just featured a modern table setting - I linked up my low-cost vintage Thanksgiving table setting. I used only vintage items I already owned. Wonderful link party - thanks for hosting!